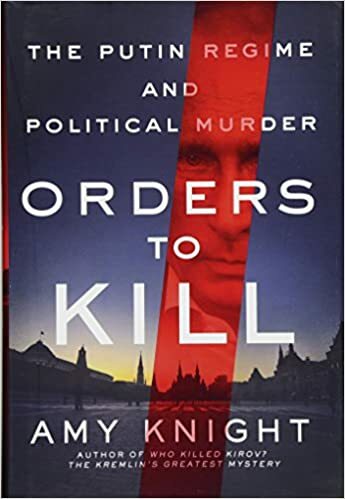 At the time I thought it was shocking that Freeh would traduce his country, and his agency, by offering that comparison to the renamed KGB (which began its existence as the Cheka). Roughly two decades later I’ve come to understand that if the comparison is offensive, the Russians have the stronger claim to be the insulted party. Like their Russian and Soviet siblings, the FBI’s primary role is that of fabricating crimes in the service of the state. Since 1991 — more particularly, since 2001 — the FBI has engaged in this behavior far more extensively than the Russians, both in terms of the volume of fabrications and the geographical reach of its operations. And evidence is accumulating that the Bureau has added assassination to its proto-totalitarian toolkit. From its inception, the Soviet secret police agency was engaged in what we now call “Homeland Security Theater.” The same could be said of the FBI, which actually had a nine-year head start on its Soviet counterpart. J. Edgar Hoover’s two chief priorities were the collection of what the Soviets would call kompromat on significant public figures — politicians, policy-makers, celebrities — and the management of his secret police agency’s public image. With the advent of COINTELPRO in the 1950s, the FBI became fully engaged in a campaign of surveillance, harassment, disruption, and assassination (if only by proxy) targeting political dissidents. Since that time, the FBI has been a fully realized political police organization, in every evil sense of that expression. Mind you, FBI agents — like all other law enforcement personnel in the United States — are trained and encouraged to lie as an “investigative” technique. They face no criminal, civil, or administrative punishment for lying in the course of an interrogation. Once again, they share this trait with their Soviet and Russian kindred. “We lambs are forbidden to lie, but the interrogator could tell all the lies he felt like,” observed Solzhenitsyn. “Those articles of the law did not apply to him…. He could confront us with as many documents as he chose, bearing the forged signatures of our kinfolk and friends — and it would be just a skillful interrogation technique” rather than a prosecutable deception. A victim who is manipulated, intimidated, and barraged with unfamiliar and often contradictory details and accusations will inevitably say something that could be considered incriminating — or that he might later contradict in some trivial way. Those who are drawn into FBI interrogation sessions suffer from an additional disadvantage: The Bureau’s inquisitors, as a matter of inflexible policy, refuse to permit an objective record of their investigative interviews. A 2006 internal FBI memo obtained by the New York Times insisted that laying bare the Bureau’s interrogation sessions to the unenlightened eyes and untutored ears of the lay public would be an offense akin to tearing the veil away from the Holy of Holies. The common public might mistakenly believe that “perfectly lawful and acceptable interviewing techniques” may involve “unfair deceit,” and question “the quality of evidence” produced thereby. In the Stalin-era Soviet Union, Solzhenitsyn recalled, victims of secret police interrogation would be handed a “206” form to sign attesting to the accuracy of the official report, and the propriety of the methods used to extract information during the session. Defense Attorney Sam Fields points out that subjects of FBI interrogations — whether they are potential witnesses or potential defendants — will sometimes be given a copy of the resulting 302 document prior to trial. Furthermore, as trial attorney Norm Pattis warns us, 302s can be used to incriminate and convict defendants, but never to exonerate them. In 2007, Pattis notes, a federal prosecutor in Connecticut “moved in limine to preclude the defense from using a 302 to impeach witnesses.” What that meant, in substance, was that the US Attorney in that case admitted “that FBI 302s aren’t worth the paper they’re printed on” — unless, of course, they can be used in a retaliatory prosecution of a witness or defendant who has somehow thwarted a U.S. Attorney’s ambition, or frustrated an FBI agent. Another Chekist-approved method favored by the contemporary FBI is the entrapment of innocent people, either as a pure exercise in Homeland Security Theater or in order to compel them to act as informants or provocateurs. Over the past decade, this has become the FBI’s métier. The case of Portland, Oregon resident Mohamed Osman Mohamud is a museum-quality exhibit of the first approach. The Bureau’s relentless harassment of Muslims at a mosque briefly attended by Mohamud offers numerous examples of the latter tactic in action. At age 18, as the Somali-born Portland resident got caught in an undertow of jihadist radicalism, his father made the fatal error of contacting the FBI to express concerns. The Bureau very thoughtfully braced the young man with two of its “terrorism facilitators,” who took charge of the young man’s indoctrination. Then they prevented him from flying to Alaska to take a commercial fishing job. After eliminating any possibility that this alienated young man could have found a way to make an honest living, the FBI’s Homeland Security Theater troupe played out the familiar script: They played to the entirely justifiable outrage felt by this young man over the US government’s treatment of Muslims in Somalia, then carefully manipulated him into pushing a button on what he thought was a bomb at Portland’s 2010 Christmas tree lighting ceremony. While one element of the Portland, Oregon FBI office was targeting Mohamud, another was focusing its malign attention on a young Eritrean-born man named Yonas Fikre, who, like Mohamud, had attended Portland’s As-Saber mosque. In April 2010, Fikre traveled to Sudan, where he planned to start a cell phone business. His first stop was at the US Consulate in Khartoum, where a State Department representative advised him to file paperwork for a Sudanese business license. Shortly thereafter, Fikre received a phone call from a man named David Noordeloos, who represented himself as an official at the embassy. He told Fikre that he was one of several U.S. citizens in Sudan who had been invited to a luncheon at the US Embassy the following day in order to receive a briefing about safety concerns. When Fikre showed up at the Embassy the following morning, he was taken into a small room and held for interrogation by Noordeloos and another man named Jason Dundas, who identified themselves as FBI Special Agents. Fikre immediately demanded that he have access to his attorney before being questioned. The FBI agents told him that he had been placed on the “no-fly list” and thus couldn’t return to the United States in order to confer with his attorney. Leaving aside the fact that there is a common technology called a “telephone” that would make the distances involved irrelevant, it’s worth underscoring the fact that the FBI uses the “no-fly list” as a kind of virtual Berlin Wall: The Bureau used it to trap Mohamud in the continental U.S., so he could be indoctrinated by its terrorism facilitators, and they used it to trap Fikre overseas so he couldn’t have access to his attorney. During that April 22, 2010 conversation (appropriately enough, it occurred on Lenin’s birthday), Noordeloos explained that the FBI wanted to conscript Fikre as an informant within the As-Saber mosque. He promised that he would be well-compensated to act as a stukach, that he would enjoy “the good life” if he were to become a snitch. He also made it plain that refusal to cooperate would have awful consequences. Over the next two months, Fikre noticed that he was being followed by plainclothes police. In June 2010 he left Sudan, eventually arriving in the United Arab Emirates. A year later, after moving to the city of Al Ain in Abu Dhabi, Fikre was kidnapped from his home by agents of the UAE secret police, who blindfolded him and took him to a dungeon, where he was held captive and tortured for 106 days. One repeated line of inquiry dealt with Mohamed Osman Mohamud — the 18-year-old from Portland who had been lured into playing a leading role in a Homeland Security Theater production. It is quite possible that the FBI was trying to torture Fikre into providing “evidence” against their patsy, in the event that they confronted that rarest of things, a conscientious federal jury. In July 2011, Fikre’s family and friends, working through an attorney, reported that he had gone missing and was likely in the custody of the UAE secret police. A consulate employee made a perfunctory visit to his cell, and concluded that the victim — who had dropped thirty pounds, and had been told that he would be tortured to death if he revealed the abuse he had received — was in “good shape.” The consulate representative was assured that Fikre would be released “tomorrow.” He was held for another eight weeks. When he went to the airport, Fikre was told that he was forbidden to return to the U.S. because his name was still on the no-fly list. An involuntary exile, Fikre was eventually offered political asylum by a relatively free country, Sweden. Fikre was one of at least five men who attend the As-Saber mosque whose names have been inscribed in what we could call the “Berlin Wall Registry” — or what the Regime calls the “no-fly list.” None of them has been charged with terrorism or related crimes. None has been told why he is on the list. Among the other victims was Libyan-born US citizen Jamal Tarhuni, who was kidnapped by the Feds in Tunis while trying to return from a humanitarian trip to his war-afflicted homeland in January 2012. Tarhuni had provided translation and consulting services on behalf of a Christian charitable organization called Teams International. After being told that his name was on the Berlin Wall Registry, he was drawn into a protracted interrogation by a set of FBI agents under the lead of Special Agent Brian Zinn. In Tarhuni’s case, the victim was told that he would be released if he took a polygraph test. A female FBI agent requested that Tarhuni sign an electronic release form on her computer. As he examined the document, Tarhuni realized that it was a waiver of several constitutionally protected rights. He quite sensibly refused to sign the form. As punishment, he was effectively imprisoned for three weeks in Tunis before his Portland-based attorney, Thomas Nelson, was able to arrange for him to fly home via Paris and Amsterdam. Tarhuni was obviously more fortunate than Fikre, but they both should regard themselves as blessed in light of the FBI’s recent execution-style murder of Orlando resident Ibragim Todashev, a Chechen-born acquaintance of alleged Boston Marathon bomber Tamerlan Tsarnaev. Yes, this was an extra-judicial murder. Todashev was unarmed, surrounded by FBI agents, Massachusetts State Troopers, and officers from the Orlando Police Department. The original story — ventilated by an anonymous source to a credulous Regime-aligned news outlet — was that Todashev, who was supposedly prepared to confess involvement in an unsolved triple murder, suddenly snapped and threatened the bold and valiant G-Men with a knife. That story has since been “rectified”; the new version is that the unarmed and outnumbered young man threatened the Chekists with a metal rod — or perhaps he threw a table at one of the interrogators — and simply had to be gunned down. None of this would explain why there was a bullet entry wound in the back of Todashev’s head, a location suspiciously close to the spot preferred by the NKVD executioners who fed condemned political prisoners a “Lubyanka breakfast” — that is, a cigarette and a bullet to the back of the head. That variety of lethal room service was a standard feature of the basement cells of the facility toured by then-FBI Director Louis Freeh on July 4, 1994, before he correctly observed that his agency and the one that maintained that dungeon had “more in common than ever before.” Truer words have rarely, if ever, departed the tax-devouring skull cave of a federal bureaucrat.